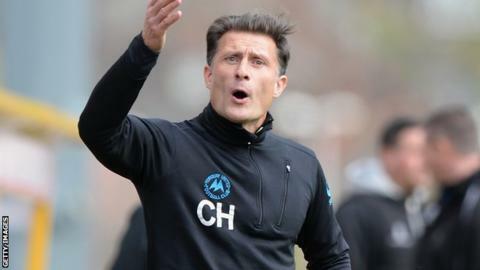 Torquay United manager Chris Hargreaves says his side "did not have the guile" to beat Macclesfield. The Gulls on Tuesday - the third successive Conference game they failed to win. "It was a game we dominated for long periods, dominated the first half completely and got into some great situations," Hargreaves, whose side sit 10th, told BBC Radio Devon. "But we didn't quite have that guile to put the ball into the back of the net." He continued: "We didn't deserve to lose the game, perhaps didn't deserve to win it, but we have to look at ourselves and say 'are we concentrating for that whole 95 minutes?'" "Young Levi did really well, it was just an unfortunate moment that has ended up costing us," Hargreaves said. "He's a fantastic young player, we want to get him in the side. "We've got two great left-backs at the club; I gave Tom Cruise a rest tonight and played Levi. "But for a bit of communication failure, he had an excellent game."